WhatsApp is an amazing instant messaging app which helps us to chat with our loved ones. If you have some private conversations on WhatsApp, then you might be worrying about their privacy. Maybe you have some messages that you don't even want to delete like your girl friend's chat. What if someone will read them in your absence? You may run into trouble. 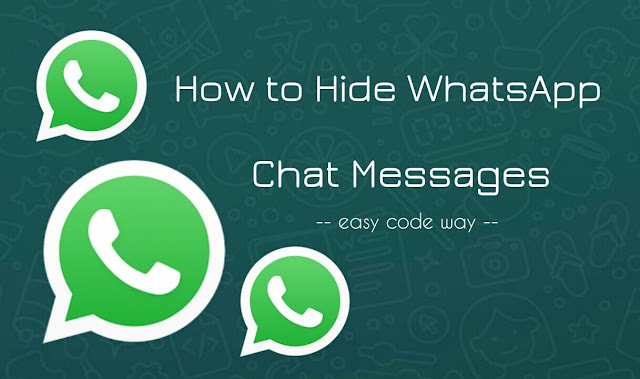 Luckily, there is an option in WhatsApp settings which allows you to hide or archive chats manually. This feature was added to protect user's privacy. If you would like to read the conversation, you can easily unhide it anytime. Here we will discuss on how to archive these WhatsApp chats in your phone. First launch the WhatsApp application in your phone. Now long press and hold the chat you would like to archive. You can also select multiple chats simultaneously. Next, tap the archive icon at the top-right corner of the screen. (See below picture). iPhone users just swipe left to the chat and click "Archive" button. 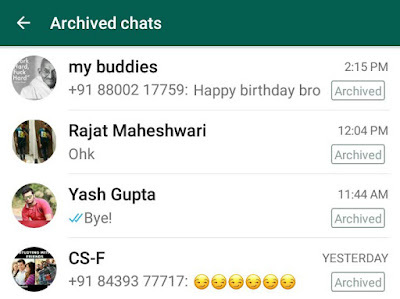 Once you have done, all your archived conversations will no longer be visible in WhatsApp chat list. They will be moved to archived folder. 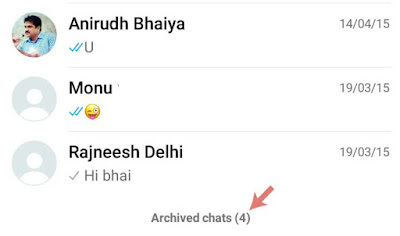 If you want to unarchive any chat, again open WhatsApp, scroll down to the bottom and click "Archived chats" option. Now long press and hold the chat and then tap the unarchive icon at the top-right corner of the screen. There is an option in settings which lets you archive all chats at the same time. 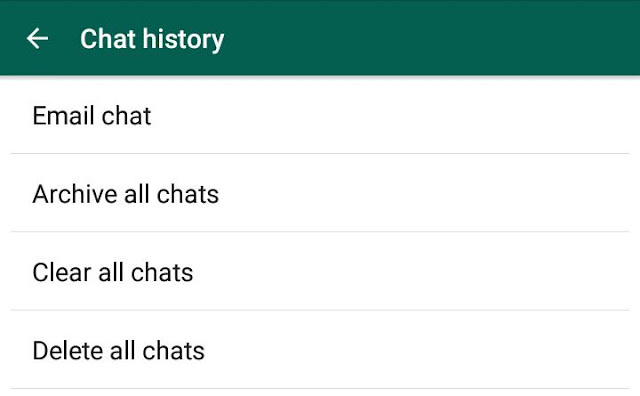 Just open WhatsApp, click menu button (three dots) and go to "Settings > Chats > Chat History". Now click on "Archive all chats" option and then click OK button. 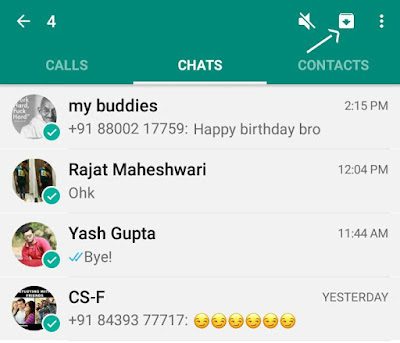 This way, you can quickly hide all those contacts which no longer chat with you. It will be more meaningful to use archive word here, rather than hide. This is because, archive means to create a collection of something. Whereas hiding means to protect your data from unauthorized access. So we haven't hide the chat. They are just archived as like we archive our data in zip file. However, if you have a long list of chat, then no one will be able to see your archived folder unless they scroll down to the bottom and thus your chats are hidden indirectly. Still there is one major drawbacks. WhatsApp unarchive the chat automatically when contact sends you a new message. So this is just a temporary trick. Hope we will have more control over privacy in future. If you have any doubts, feel free to drop them in the comment box.